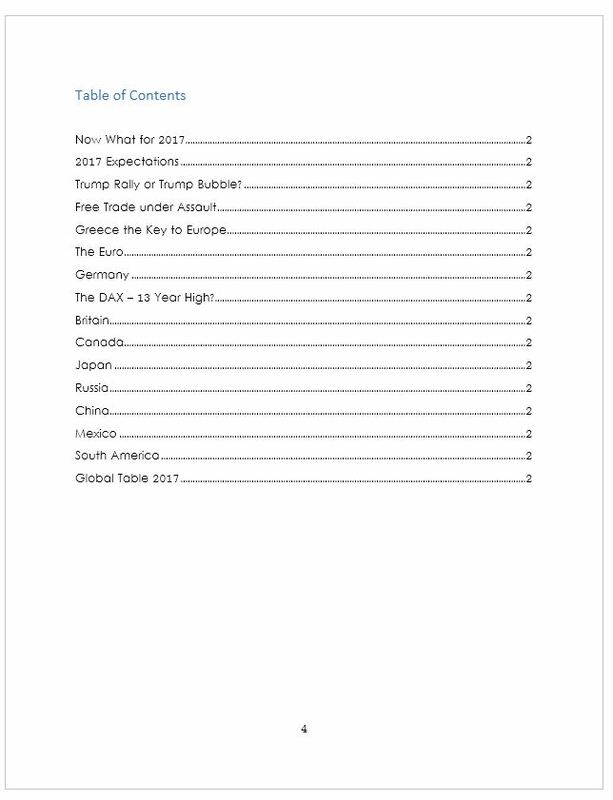 The 2017 outlook report provides an overview of the world economy by connecting the dots. Included is a global table on the yearly level for all major world markets that includes 2016 closings, buy and sell signals for annual closings, trading prices (as of the completion of this report), resistance, support, and the historical high and low of each market (see list below for the full list of markets provided). Additionally, we covered the select regions to pay attention to this coming year: Europe, Canada, Latin America, South America, Asia, and Russia. 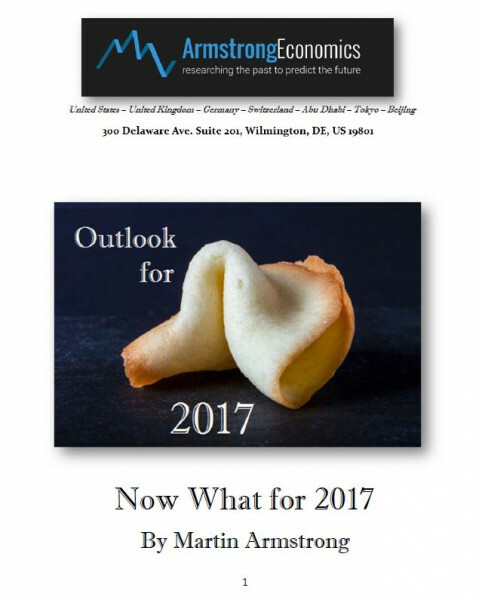 This report provides a general overview of the world economy moving into 2017. We also deal with the “Trump rally” or “Trump bubble” with respect to the share market in the United States. We also focused on the issue of free trade and the rising trend of protectionism. Furthermore, we have highlighted Greece as a key market to follow for therein lies the seeds to the rise and fall of the euro.